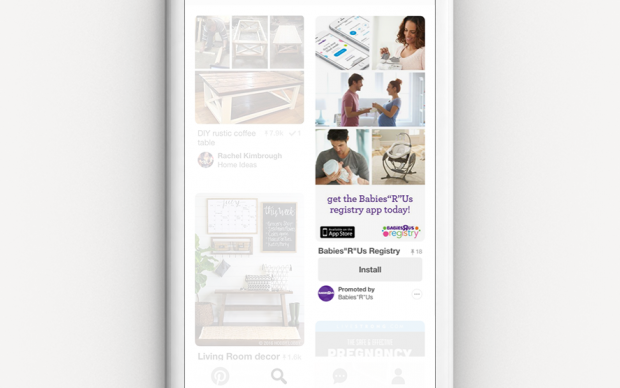 Pinterest advertising clicks so well with Pinners, it’s kind of inspiring. Pinterest is a discovery platform. Almost all searches on Pinterest are unbranded, which means Pinners are open to new ideas and products. In fact, 73 percent of Pinners say content from brands makes Pinterest more useful. We’ll dive in to the differences between Pinterest ad formats and provide a step-by-step guide on how to advertise on Pinterest. Plus, we’ve assembled the most Pin-worthy ad tips along with Pinterest ad examples you’re going to want add to your next mood board. Bonus: Download a free guide that teaches you how to make money on Pinterest in six easy steps using the tools you already have. Pinterest ads offer marketers the chance to earn awareness and consideration from Pinterest’s 250 million users early in their consumer journeys. And connecting early works: 98 percent of Pinners say they’ve tried new things they found on Pinterest, versus 71 percent on other social media platforms. Beyond driving awareness, brands using Pinterest ads’ targeting capabilities see results. More than half of Pinterest’s users have made a purchase after seeing business content on the site. And Pinners spend 29 percent more than non-Pinners, delivering an average of $2 in profit for every advertiser dollar. With that in mind, it’s time to get pin-spired about advertising on Pinterest. Just one catch: For the time being, Pinterest ads are only available in Australia, Canada, France, Ireland, New Zealand, the United Kingdom and the United States. Your Pinterest ad campaign type will determine what ad format you use, as well as your bid type and available placements. So it’s good to know the attributes of each format before starting a campaign. Promoted Pins appear in the home feed and search results just like a regular Pin except that they’re boosted and targeted to deliver way more reach. Other than the “Promoted” label on the Pin, they look and behave the way other Pins do. Users can Pin them to boards, share them, and comment on them. Perhaps the best feature of Promoted Pins is that after a Pinner shares it, the “Promoted” label goes away and subsequent repins are considered earned media. In other words, you get added exposure for free. When a user taps or clicks your ad, they’re taken directly to your landing page. Pinterest tells us that, as of 2019, all Pinterest ad formats have officially been migrated to the one-tap system. That means that when a user taps or clicks your ad, they’re taken directly to your landing page. “Two-tap” ads (where the first click resulted in a zoom-in) no longer exist. And since all ads are technically “one-tap,” it doesn’t make sense to use that term anymore either. “One-tap Pins” are no longer a category of Pinterest ad. Promoted Carousels were introduced in November 2018. They feature two to five images that Pinners can swipe through. These multi-image ads can appear wherever Pins can, and they behave the same, except for the dots beneath that signal the swipe option. Each card in a Promoted Carousel ad can feature a different image, title, description, and landing page. This format is great if you have multiple products or multiple features to showcase because different images and selling points can speak to different Pinners. CoverGirl used a Promoted Carousel to show every shade of its TruBlend Foundation, resulting in a 3.8 point lift in brand awareness. REI’s Experience the Outdoors campaign earned strong engagement and a 32 percent higher click-through rate using a Promoted Carousel. Promoted Video Pins are just like Promoted Pins except the static image is replaced with video. Like Promoted Pins, Promoted Video appears in the home feed, search results, and the “more like this” section under a Pin close-up. Pinterest videos autoplay as soon as they’re 50 percent in view. For greater accessibility, and because many viewers watch video with sound off, it’s important to produce video that’s not dependent on audio. 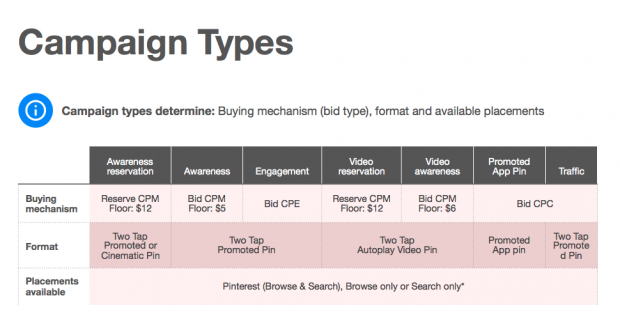 Pinterest offers two sizes for Promoted Video Pins: Max width and standard. 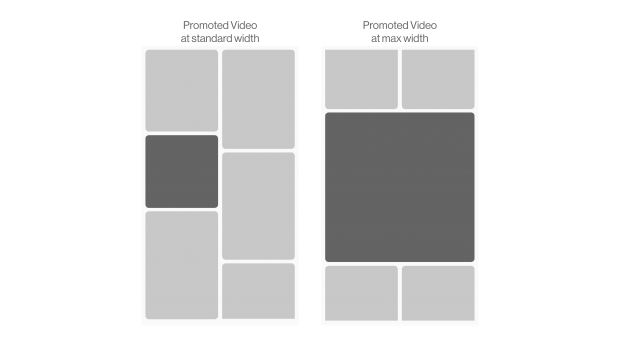 Standard width videos are the same size as regular Pins, whereas max width video spreads across the feed, minimizing distraction from competing Pins. Maximum video exposure can be more expensive, since minimum bids start higher. Videos are ideal for awareness campaigns, and a good format for telling a brand or product story. A Pinterest study conducted with Millward Brown found the Promoted videos are four times more memorable than non-video ads. And 67 percent of Pinners said that video inspires them to take action. Ideal aspect ratio: 1:1, 2:3, 9:16 or 16:9. Promoted App Pins let Pinners download your mobile app directly from Pinterest. These mobile-only ads are a good fit for Pinterest’s audience, since 80 percent of Pinterest traffic comes from mobile devices. Promoted App Pins look and act just like a Promoted Pin or Promoted Video Pin, only they link to a valid iTunes or Google Play app store URL. An install button accompanies these Pins, but you should also make sure your copy and image or video conveys attributes about your app. Pinners have a penchant for shopping, so quick-and-easy app downloads can quickly turn into sales. When Playrix chose Promoted App Pins to promoted its Fishdom and Gardenscapes game apps, one in five installs from Pinterest resulted in paying users. Overall Playrix doubled their ROI. Buyable Pins are designed to be shoppable. Also known as Shop the Look, these Pins allow Pinners to find and buy products directly from your Pin. These Pins work across mobile and web, and appear in the same places as a Promoted Pin would. The only difference is items in the image are tagged with white dots that can be tapped or clicked on to display and link to product information. This format is ideal for images that feature multiple products working together. Imagine a fully decorated living room, Christmas dinner spread, or the latest fall fashion arrivals. Pinterest recommends that images should be tagged with four to six dots. Ideally each dot should be linked directly to the product’s page. If that’s not possible, Pinterest suggests finding one exact match, and other close matches. 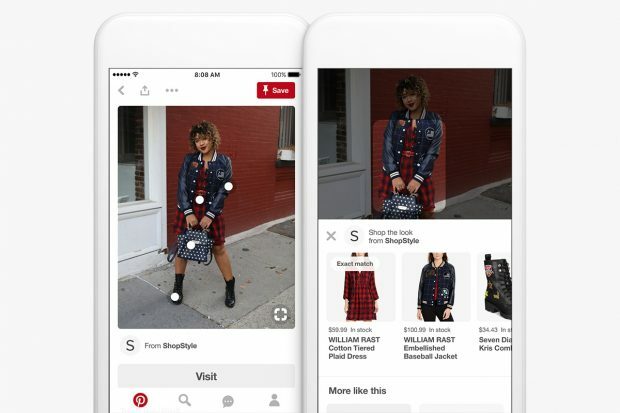 To create Buyable Pins, Pinterest offers a bespoke tagging tool. For larger campaigns it may be better to work with Curalate and Olapic are Pinterest’s preferred partners. These Pins are designed to deliver sales. After Modern Citizen enabled Buyable Pins, the fashion brand saw its retail orders increase by 73 percent. A new type of Pin format that is being tested with select business accounts, Story Pins feature up to 20 pages of images, text, and links. Story Pins appear in users’ home feeds with a cover image and a title. They also say “Story” underneath. Tapping a Story Pin allows you to see all of its pages. Story Pins can be saved to boards like any other Pin. Watch this space for updates on how they perform for brands. With your newfound expertise on Pinterest ad formats, you’re now ready to setup a Pinterest ad campaign. 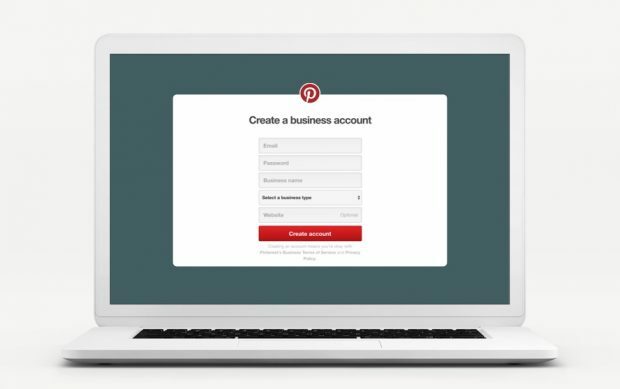 Either convert your existing Pinterest account to a business account, or create a new account for your business. Our guide to using Pinterest for business goes over the fundamentals of starting up a brand account. Before starting a Pinterest ad campaign, make sure you have installed the Pinterest Tag. With the Promoted Tag you’ll be able to track the actions people take on your website after seeing your Pinterest ads, including checkouts, sign ups, and searches. Each campaign starts at ads.pinterest.com with an objective. Choosing the right goal is important because it will determine what ad formats are available and how you bid in the ad auction. Get traffic to your website. Earn high-quality leads and send Pinners to your website. You pay-per each click. Build brand awareness. Gain broad exposure with current and prospective customers. You get charged per 1,000 impressions. Increase installs for your app. There are two ways to promote app downloads on Pinterest. 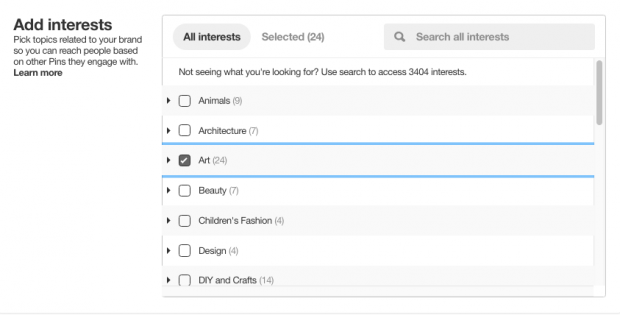 When you pay by install, Pinterest regularly adjusts your bid based on your budget. When you pay by the click, your ad is optimized for click traffic. Build awareness through video views. Autoplay videos are ideal for promoting awareness and consideration. You pay per 1,000 impressions. Add your campaign name and then set your daily and lifetime spend limit. More specific pricing parameters will come later. 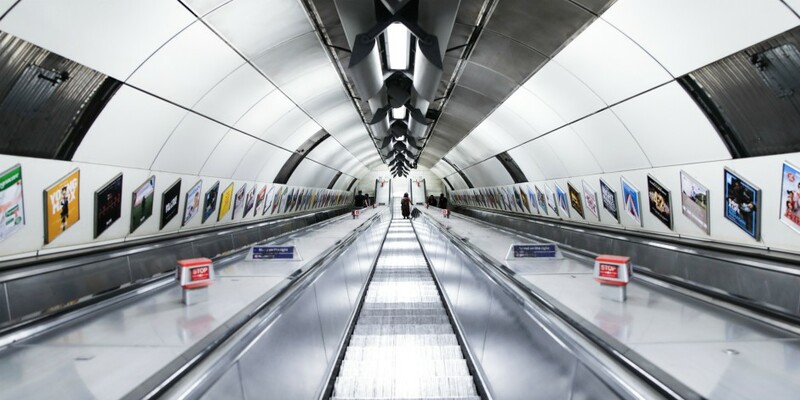 If you’re creating a carousel ad campaign, make sure you enable the option. This will only work if you’ve selected brand awareness as your campaign objective. Choose a pre-existing ad group or create a new one. Think of an ad group as a container for your Promoted Pins. Each ad group can have a different assigned budget and different targeting. 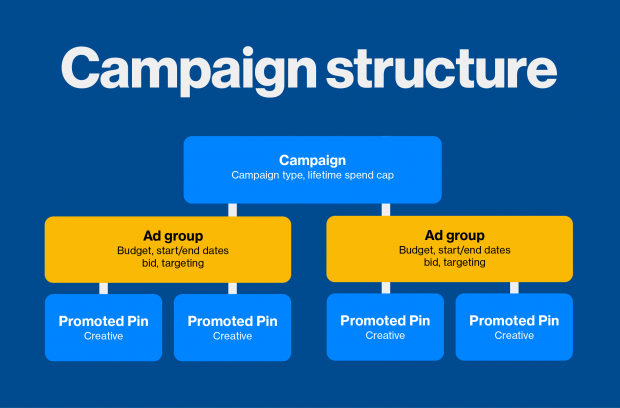 Ad groups help you manage multiple goals within a single campaign. For example, perhaps you’d like to target specific content to a particular geography, but you have a limited budget for it. Plan to launch with between two and four Pins per ad group. Set the parameters for the audience you would like to reach with your campaign. 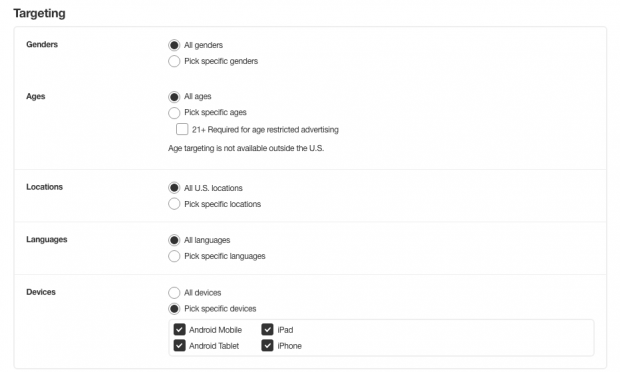 You can target based on gender, location, language, and device. If your Pinterest ad campaign objectives are traffic or awareness, use a broad targeting strategy to avoid low click volume. Read our guide on the top Pinterest demographics that matter to social media marketers. If your budget permits, go with the all placements default. Otherwise there are two primary avenues for your ads to appear in: Browse and Search. Browse placements end up in the home feed and related pins. They pair nicely with interest targeting, whereas search result placements perform better with keyword targeting. You can expand on your targeting by adding interest and keyword targeting as well. This setting will ensure that your ads are automatically targeted to relevant searches and interests. 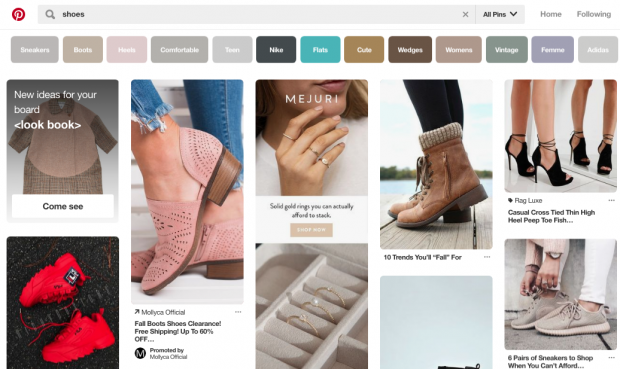 Pinterest finds that in in general, campaigns improve reach, click-through rates, and better achieve scale when interest and keyword targeting is enabled. For the best results, use 25 keywords. 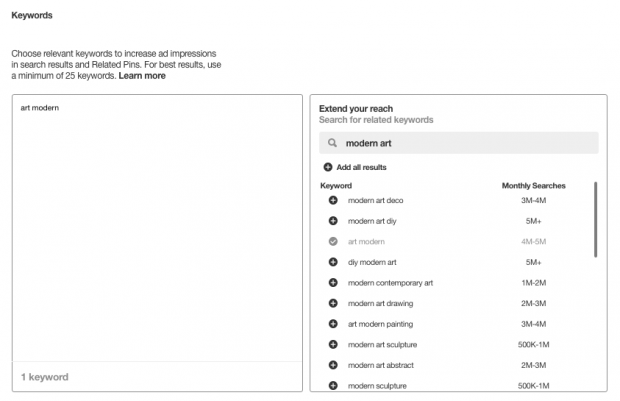 Keywords can be formatted to indicate broad match, phrase match, or exact match. Negative keywords can also be added to exclude certain search terms from triggering ads. Not sure what keywords to add? Learn how to find relevant keyword here. Enter the start and end date for your Pinterest ad campaign. Then set your daily or lifetime budget. Your daily budget sets your daily spending limit for your ad group. The lifetime budget is the total amount you want to spend between your start and end date. Be careful what you add here, because this cannot be edited later on. 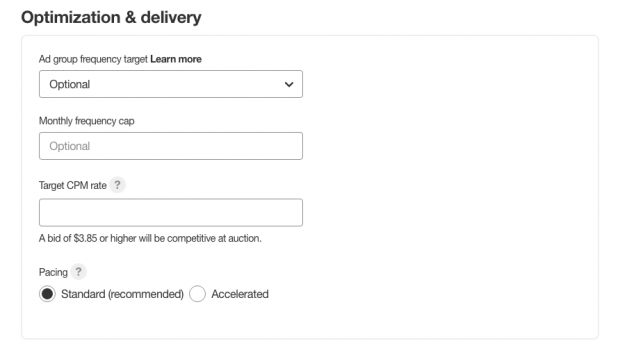 Start by setting a maximum bid for your Pinterest ads. This is also known as your target CPM rate. Minimum bids must be above $2.00. There are two types of pacing options for your Pinterest ad campaign: Standard and accelerated. Standard pacing aligns your bids with your overall spend and campaign duration. Accelerated pacing may be better for high impact campaigns as it enables faster delivery of your budget and faster results. 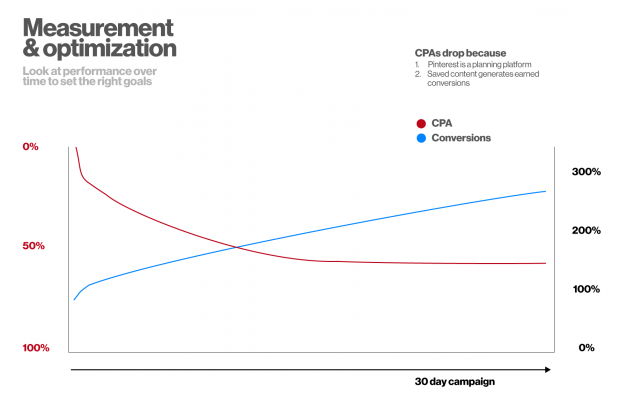 Pinterest will never spend over your daily or total budget caps, but accelerated pacing may drain your budget before your campaign end date. Click Pick a Pin to add Pins to your ad group. Remember, each ad group should aim to include two-four Pins. You can either create new Pins or pick Pins that you’ve added before. Assigned each Pin with a name and a URL. Click on Analytics from the Pinterest Ads Manager dashboard to measure the performance of your campaign. You’ll first be presented with an overview of all campaigns and their key metrics, including total clicks or impressions; engagement rate or CTR; average eCPM (earned and non-earned cost-per impression) and eCPC (effective cost-per click); and total spend. Click on a specific campaign to drill down into its performance details. Each campaign is different, but a few ways you can further optimize your campaign are to broaden your audience, increase your budget, try different formats, or plan around events. Read our detailed guide to Pinterest Analytics. If you’re going to start investing in your Pinterest marketing strategy, you need to make sure your content is ready to shine. These tips and examples are a good starting place, or can help you refine current content. Of course, before promoting any content, make sure you’re up to speed on Pinterest’s advertising guidelines. Easier said than done right? Actually, it’s not. Keep imagery simple so that it will have high impact. Since 80 percent of Pinners use Pinterest on mobile, use high-resolution, vertical images to give your pins pride of place. Adhere to Pinterest’s specifications so you don’t end up with a distorted or truncated Pin. Absolut and ad agency 360i used closeups and strong visuals to make a splash with Pinterest video. Whether you’re using static images or videos, you always want to lead with your hook. That goes for copy, too. Pinterest recommends you prioritize the first 30-60 characters in descriptions, since the rest may not show in the feed. For video, the first few seconds are the most crucial. Make sure to include your brand name in the hook. Pinterest research shows that Pins with a brand name in the first line of description earn two-times higher awareness. Pinterest users appreciate the finer details. Your descriptions should provide Pinners with information that they can act on. Take advantage of keywords and hashtags, too. Pinners are more inspired when they see your brand in action, especially when it comes to video. Pins that show someone interacting with your product or service are 67 percent more likely to drive online sales lift. But make sure to keep it as the focal point – don’t let it get lost in the mix. Pinners don’t mind branded content, so make sure your brand name or logo are there to enforce awareness and consideration. For video ads, Pinterest suggests showing branding within the first few seconds, or for the whole duration. For images, avoid the lower right corner since that area can sometimes be covered or cut off. Text overlay can enhance your brand message. But don’t overdo it, you still want your visuals to have impact, too. The best text overlays call out unique features or are actionable. For instance, adding the word “new” can result in nine times higher aided awareness. Overlays with actionable copy see a 6 percent lift in online sales. La La Land used text overlay to great effect, as a way to promote its Golden Globe wins. After running a study on 29 Promoted Video campaigns, Pinterest found that focusing storytelling was one of the best approaches. People watched videos 29 percent longer when there was a storyline included. Storytelling is a great way to tell a brand story, share company news or showcase your product in action. For Pinterest’s own Right the Ratio campaign, Pinterest used storytelling to demonstrate how to close the gender gap in creative fields. The same Pinterest Promoted Video study found how-to instructional videos also worked best. Lowe’s created a campaign that demonstrated how to build a laundry room from start to finish. As a result, completion rates were double the Pinterest benchmark for videos longer than 25 seconds. Pinners are especially active when it comes to holiday or life event planning. But since they’re also planners, they’re often Pinning about these topics three to four months ahead of the event. Pinterest’s research finds that Pins that feature holiday or life moment content have a 22 percent lift in online sales. Pinterest’s Possibilities Planner showcases some of the largest events on the platform and provides good keyword tips. Think outside of traditional holidays. 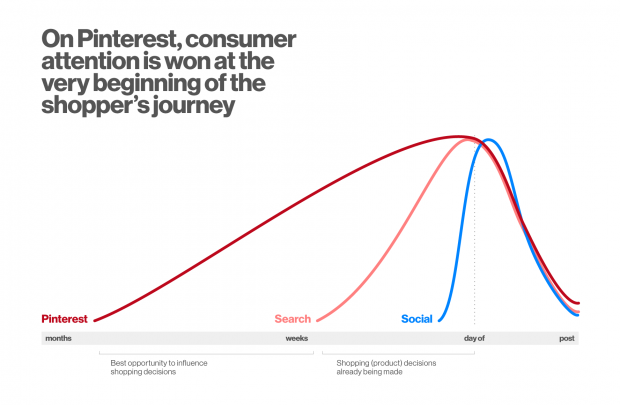 What events matter to your audience? IKEA back-to-school season dorm-room décor campaign increased CTR by 73 percent. When a Pinner clicks on your Pin they’re looking for more information. Make sure they land on a page that can provide it – and if possible, use the same image for continuity. Pins that go to pages with similar imagery have a 13 percent higher lift in online sales. Undergarment retailer ThirdLove found success this way with its one-tap campaign, earning a 26 percent increase in traffic, and decreasing cost-par-acquisition by 14 percent. There are four types of Rich Pins that can be used to provide contextual information for your Pins: app, product, recipe, and article. Including pricing details can make a difference: Pinterest finds that Pins with prices see 28 percent higher online sales. Made.com used Rich Pins to share product name, price, and availability information on their home décor Pins. The added detail made a big difference, leading to a 51 percent increase in conversions and a 106 percent increase in transactions. Save time managing your Pinterest presence using Hootsuite. From a single dashboard you can compose, schedule, and publish Pins, create new boards, Pin to multiple boards at once, and run all your other social media profiles. Try it free today.